The Ghibli AS 2 Dry Vacuum Cleaner / Hoover is the first in the range of Ghibli dry vacuum cleaners. Even thought it weights less than 10 kg, the Ghibli AS 2 has got a large capacity of 12 litres. Its perfect combination of power & manoeuvrability, sturdiness & lightness, makes this a very competitive machine. 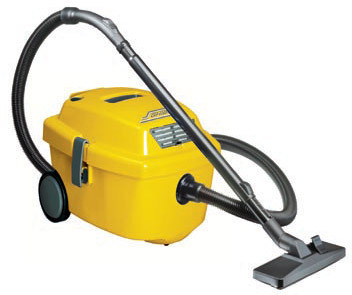 The Ghibli AS 2 Vacuum Cleaner / Hoover is made from polypropylene which is light weight & extremely sturdy. It is equipped with a new system of noise dampening allows this vacuum cleaner to be even more silent. The 1000 W industrial motor make it suitable for most professional jobs.